Reiki has been known in Japan since ancient times, and was used by healers and shaman both for healing and spiritual guidance. It was understood to be the universal energy that was within all creation, and that which supported an individual's health, vitality and well-being. It was not until 1922, however, that the use of Reiki was developed into a comprehensive system to both support physical health and enhance mental and emotional well-being. The ultimate goal was to achieve a form of enlightenment known in Japan as Anshin Ritsumei; a calm and peaceful state of mind (Anshin) in which one would recognise their mission and role in life (Ritsumei) and, despite any obstacles, accomplish it. 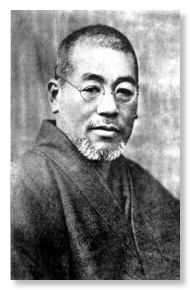 Usui Reiki Ryo-ho was founded by Mikao Usui, who was born in 1865 in Japan. There are things about Mikao Usui's life that are still not known, but at the time of his death his students had a monument erected in Tokyo that gives some details about his life, his enlightenment, and his founding of the Usui Reiki Ryo-ho Gakkai (training centre). Between this monument, the verified accounts of Mikao Usui's students (and their surviving family members), and the information from the Usui Reiki Ryo-ho Gakkai, provided by Gakkai member (and founder of Gendai Reiki Ho) Hiroshi Doi, the following information has been provided. Usui Sensei left his home at an early age and worked in a variety of occupations, but throughout his many experiences he continued to question the purpose of life. After pursuing this quest for many years, he came to believe that the purpose of life was to attain the state of Anshin Ritsumei. Usui Sensei believed that the ‘Great Universe’ gave each person a special mission in life and the state of Anshin Ritsumei was that which would enable one to successfully fulfil that mission in perfect spiritual peace, despite any challenges they may encounter. In his desire to achieve this state, Usui Sensei practiced Zen Buddhism at a temple in Kyoto, but after three years without success, he decided to undertake a fast on Mount Kurama. During his days on the mountain he began to feel the vibration that had been known since ancient times as Reiki, and as it grew stronger he felt himself resonating with Universal Reiki. Having finally achieved the state of Anshin Ritsumei, Usui Sensei started down the mountain and accidentally injured his toe on a tree root. When he felt the pain, he instinctively touched it and his toe was instantly healed. He had other experiences of healing on his way home and realised that when he had attained the state of Anshin Ritsumei through his resonance with Reiki, he had also been given the ability to heal himself and others. He realised that teaching others how to achieve health and happiness by living in resonance with Reiki was his mission and role in life, so in 1922 he created the healing system of Usui Reiki Ryo-ho and opened a Gakkai (training centre) in Tokyo with the goal of treating and teaching as many people as possible. Mikao Usui was in Tokyo when Great Kanto Earthquake struck on September 1, 1923. The powerful earthquake was followed by a tsunami which brought in waves between 30 and 40 feet high. A typhoon struck Tokyo Bay at the same time and its winds spread massive firestorms that burned for two days further devastating Yokohama, Tokyo and the surrounding areas. Over 100,000 people were killed and Usui Sensei and his students worked tirelessly treating the injured in the city with Reiki, saving many lives in the process. As a result, Mikao Usui and the Reiki healing method he had originated became highly regarded and he dedicated the rest of his life teaching others throughout Japan.The system that Usui Sensei taught is known as Dento Reiki (Traditional Japanese Reiki). Usui Sensei was said to have taught over 2000 people Reiki between his founding of the Usui Reiki Ryo-ho Gakkai, and his passing four years later. Out of the many people that he taught Usui Reiki Ryo-ho, only twenty-one were advanced to the level of Shihan. The last of his students to be certified as Shihan was Dr. Chujiro Hayashi, a physician and naval officer. Due to his experience in medical science, Usui Sensei gave him the important responsibility of studying and further developing the healing techniques used in Usui Reiki Ryo-ho, and Hayashi-sensei opened a clinic in Tokyo. After Usui Sensei’s death in 1926, Hayashi-sensei left the Usui Reiki Ryo-ho Gakkai in order to continue his work and started his own practice, known as the Hayashi Reiki Kenkyukai. Though he was no longer with the Gakkai, Hayashi-sensei continued to develop healing techniques as Usui Sensei had requested, and continued to honour Usui Sensei by retaining the name of the healing system as Usui Reiki Ryo-ho. Treatment procedures in Western Reiki, such as “the basic twelve hand positions” and use of treatment tables, were two of Hayashi-sensei’s contributions to the development of Reiki. 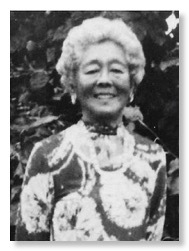 Hawayo Takata, a second generation Japanese American woman living in Hawaii, was seriously ill and went to Japan for treatment in 1935. She was referred to Chujiro Hayashi and, after making a full recovery over the course of three months, she asked to remain at his clinic to study Reiki healing. Takata-sensei studied at Hayashi-sensei's clinic for a year and after receiving Okuden status, she continued to work with him at the clinic. She returned to Hawaii with her daughters in 1938, where she opened a Reiki clinic and began giving treatments. 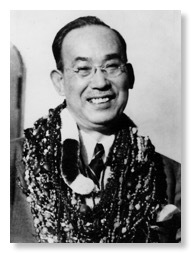 Takata-sensei was certified as a Reiki Master by the Hayashi Reiki Kenkyu-kai when Hayashi-sensei visited Hawaii in 1938. Although her main focus had been on treatment, at seventy-five years old Takata-sensei began training Reiki masters who would succeed her in the years to come. By the end of her life, she had trained twenty-two Reiki Masters. It was through these Reiki Masters that Reiki spread across the West and throughout the world. Reiki, however, was to become progressively more westernised. Many of Usui Sensei's traditional teachings and practices in spiritual development were not passed on, and its focus became more restricted to physical healing. After the death of Usui Sensei in 1926, the Gakkai became a closed society and its members only shared Reiki with their families and other Gakkai members. Then during the Tokyo air raids in WWII, the Gakkai building was destroyed and the Gakkai members inside were killed. For many years, people thought that the Usui Reiki Ryo-ho Gakkai no longer existed. Without a continued connection to its origins in Traditional Japanese Reiki, Western-style Reiki developed differently As it spread around the world, it became influenced by both the cultures it was introduced to and by the changing times. Although all the various offshoots being taught as Reiki shared the same roots in Usui Reiki Ryo-ho, there were many differences between them and some had very little in common with Traditional Japanese Reiki as it was practiced and taught by its founder, Mikao Usui Sensei. The person responsible for re-discovering the Usui Reiki Ryo-ho Gakkai and the roots of Traditional Japanese Reiki is Reiki Master and founder of the Gendai Reiki Healing Association, Hiroshi Doi. 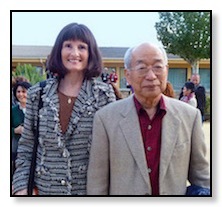 Doi Sensei had first studied the Reiki system known as the Radiance Technique (founded by Takata-sensei's student, Barbara Ray) in the late 1980's with Mieko Mitsui in Japan. To further his study of Reiki, he began to search to see if any members of the Usui Sensei's Gakkai had survived and if any were possibly teaching Traditional Usui Reiki in Japan, but could find none. Then, by chance, in 1993 he met a member of the Usui Reiki Ryo-ho Gakkai, and upon discovering that the Gakkai was still active, he became a member and began training with Kimiko Koyama, the sixth president of the Usui Reiki Ryo-ho Gakkai. After reaching the highest level in Usui Reiki Ryo-ho training (Okuden-koki) in the Gakkai (of which he remains a member) and having studied various forms of Western Reiki, Doi Sensei wanted to develop a Reiki method that re-integrated the traditional techniques of Usui Reiki Ryo-ho, which focused on spiritual development, with the techniques that focused on health and healing. In order to make these teachings available to all, Doi Sensei established the Gendai Reiki Healing Association and his Reiki system, Gendai Reiki Ho. As Doi Sensei explains, "Gendai Reiki Ho is not a new Reiki-ho system, just a new way of practicing the discipline of Usui Reiki Ryo-ho, a way which is suitable for modern day people. Gendai Reiki Ho is structured in such a way as to support both the healing of mind-body and encourage spiritual growth. These are the fundamental concepts of the practice as taught by Usui Sensei." If you would like to learn more about Traditional Japanese Reiki and Gendai Reiki Ho, please contact us. You can find further information about our classes here.